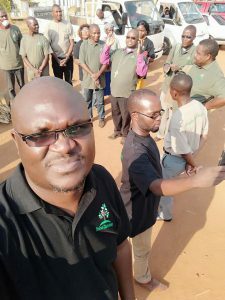 On the 3rd of November 2018 about 30 people gathered at Lake Malawi Anglican University in Lilongwe for an Intentional Environmental Stewardship training workshop. The attendants were drawn from the four dioceses in Malawi, and also 4 from the Dioceses of Nampula and Niassa, Mozambique. Presentations were made by the Provincial coordinator and Charles Bakolo. Shadrack Nyanja also led the group sessions by different dioceses and also the report back that informed their action plans. The attendants were then encouraged by Bishop Malasa and were then presented with certificates. A clean up was conducted at the neighbouring market.